Do not allow your student to lose all the gains they worked so hard to achieve this past school year. Summer tutoring with Y3K Tutor In Your Home will allow your child to be ready for school on day 1. Quiet those negative voices. We have to give 100%. We can’t give up. One-on-one tutoring from an experienced Y3K Tutor In Your Home tutor delivers the results you want and the success your child deserves. 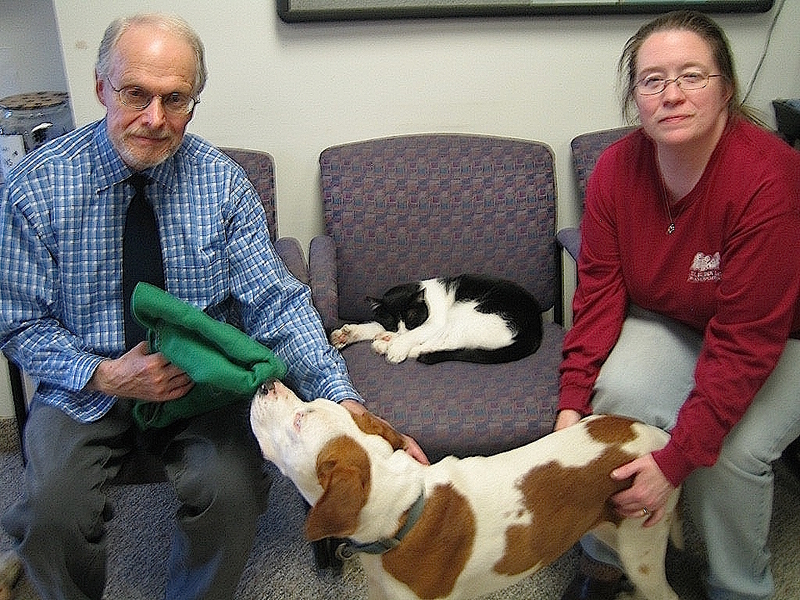 Arnold Goldstein, Vice President of Y3K Tutor In Your Home recently presented blankets, towels, toys and supplies to the Buddy Dog Humane Society shelter located in Sudbury. 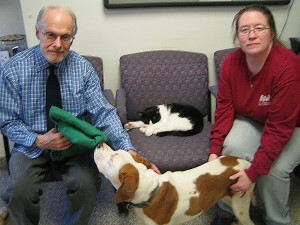 Pictured is Goldstein donating a blanket to Chase the dog, Guy the cat (one of the many dogs and cats available for adoption) and Kathy Wozniak, Adoption Counselor. All of the items were from Y3K Tutor In Your Home’s successful 12th annual collection drive for the Buddy Dog Humane Society shelter.